It may be divisive, but the rampant success of the New England IPA style indicates that, for many drinkers, no amount of hops can ever be enough. 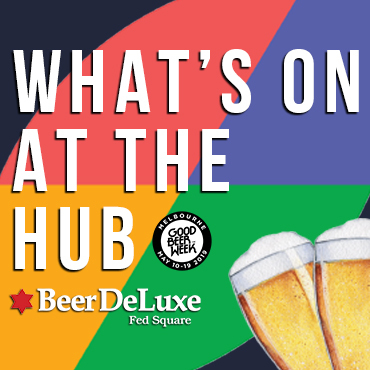 Indeed, it’s difficult to discuss recent developments in beer without referencing the insidious fruity fog that’s dominated many of Australia's craftiest taps and cans for the past 18 months. However, as with all revolutions, the vanguard soon becomes the norm and already a Grand Cru d'état is at hand courtesy of the Brut IPA. Credited to Kim Sturdavant of Social Brewing, in San Francisco, the latest spin on the ever-diversifying IPA category shows all the signs of becoming one of the most hyped beer styles of 2018. It’s one that’s typified by a seriously pale colour with minimal body, plenty of hop flavour yet low bitterness and a signature bone dry finish – it’s as if a hazy NEIPA discovered CrossFit and decided to get into shape. Scott McKinnon, co-owner and brewer at Wolf of the Willows, whose Southern Brut collaboration with the Ale of a Time podcast, was released at the weekend. 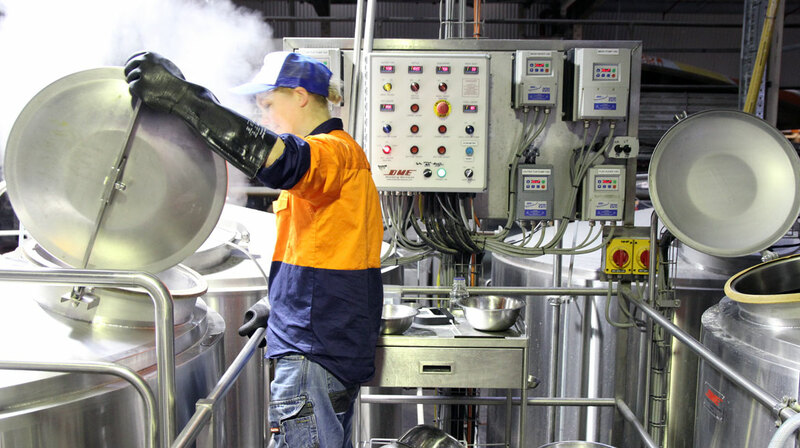 Alana Rees, innovation brewer at Mountain Goat, was one of the instigators behind Abbey Collaby VIII – Brut IPA, this year’s Good Beer Week collab with Matilda Bay and Moon Dog. 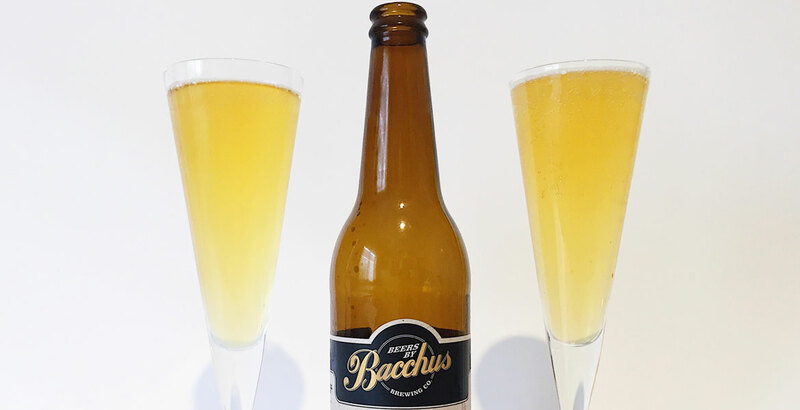 Ross Kenrick from Bacchus Brewing, whose Brut Force DIPA may have been the first commercial Australian example of style. Brut IPAs look set to become this year’s style de jour, how did you first become interested in them? SCOTT MCKINNON: Luke and Dave from Ale of a Time came to me a few months back, introduced the idea of the style, and asked if we'd be interested in doing a collab with them for their Patreon subscribers. As new and innovative ways to display hop character are of particular interest to me and our brewer Jacob Otte, we jumped at the opportunity. We've spent a lot of time experimenting with different types of yeasts, starting and finishing pH's, and their effects on the sensory characteristics of different hops. We're obviously not alone here, given the rise in interest around biotransformation in brewing NEIPAs. However, what appeals to us about Brut IPA is the dryness and how this allows the true hop character to shine through without other sensory characteristics changing the perception on the palate. ALANA REES: It's an interesting style so I’m always going to be intrigued. It’s a challenge to get a light bodied beer to be clean and crisp and not show any flaws. I like challenges and being told it can’t be done. This style screams that! 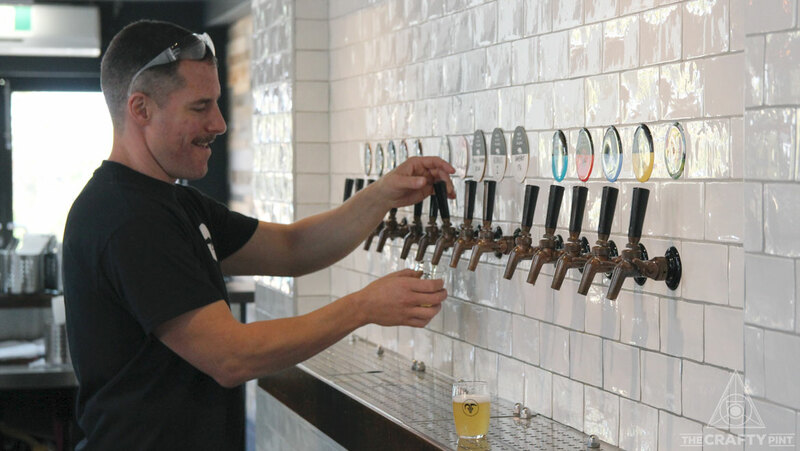 ROSS KENRICK: Our brewery specialises in developing and exploring the latest styles, so seeing the Brut IPA getting a lot of interest in the San Fran Bay area where it originated, we were keen to see what the noise was about. Scott McKinnon at Wolf Of The Willows' brewery in Cheltenham. With curiosity piqued and challenges accepted, what do you like about the style and what should drinkers look out for? SM: The raw and pure hop profile. You can literally feel the hop oils on the palate – the sheer quantity of these is what gives the beer whatever body it has. Similarly, the flavour characteristics of the hops are in their most naked form, with no sugar content or malt backbone to confuse the palate. AR: It’s very different to any other style. It’s complex and time-consuming to make but is drunk so quickly due to its smash-ability. Also, it involves making my favourite style of American hops shine. RK: We loved the clean, soft, dry profile that let the hops shine through. With that in mind, are there certain hops that work better with the Brut IPA style? SM: Yes, most definitely. Personally, I believe that hops that are high in certain hop oils, in particular myrcene, suit the style. To go one step further, it is these hop oils that allows hops from different regions to have a "terroir" much in the same way that grape varieties do. Based on this, we chose hops from the Southern Hemisphere in order to produce a Brut that exemplifies our pretty awesome part of the world. Similarly, we choose hops that have sensory qualities that are bright, vibrant and tropical, rather than dank and piney. With bitterness, less is more, as this will seriously influence the character of a beer like this. AR: Definitely, they need to be more fruity or citrus based hops. You don’t want grassy or piney hops there to destroy the crispness and fruitiness of the beer. Similarly, you want low IBUs, under 20 is perfect. You don’t want really any bitterness to get in the way of the soft spritz. RK: We followed the guidance from the USA where they are using the really fruity hops as used in NEIPAs, but we are keen to develop these techniques into a variety of styles. As with NEIPAs, the target is for very low IBUs, so we added no hops in the boil, just a huge whirlpool addition. While this is about maximising the hop flavour, I can see that Brut IPAs would also lend themselves perfectly to more subtle hopping and exploring more wine/champagne like characters. SM: Interestingly, you don't have to actually use champagne yeast with this style. Simple, clean ale yeasts will do the job. We're keen to play around with some other yeasts that can possibly complement and enhance hop profile in such a dry beer. However, when using champagne yeast, these strains will continue to consume sugar that other yeasts will not, hence drying out the beer further. This is of benefit when brewing higher alcohol beers (eg 8 percent ABV and above) as some yeast strains will stop consuming the sugars at a higher gravity than in normal alcohol beers; that is, they will be under-attenuated [in other words, a beer that hasn't fully fermented]. Champagne yeasts will keep on attenuating under these. 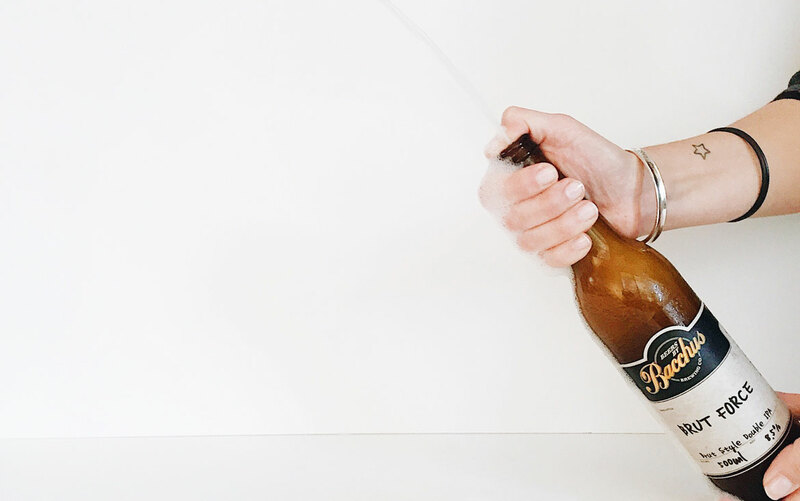 Personally, there is nothing worse than a beer that has residual sugar left in it when it’s not appropriate for the style, as it gives a cloying sensation on the palate. Mountain Goat innovation brewer Alana Rees on the brew deck. Alana agrees ale yeast is perfectly suitable and also notes that many DIPAs are finished with champagne yeast when ale yeast drowns in the booze it’s created. AR: Champagne yeast is specifically designed to dry things out. In other words, the yeast pigs out on as much sugar as it can so you don’t get fat, really taking one for the team! So, if the ale yeast used for a DIPA is struggling to attenuate or has eaten all it can of the sugars, this guy is like Mr Wolf, brought in to finish the job. Now we get technical, because there is more than our little single cell friends’ hard work that’s essential to the Brut IPA style. Certain amylase enzymes help create the signature dry finish but can also present some unique challenges. SM: Under normal circumstances in the brewing process, post mashing there are a number of complex sugar chains that most yeasts cannot metabolise. Amylase is an enzyme that catalyses the hydrolysis of starch into sugars. When used in the brewing process of a Brut, amylase is added to break down these complex sugars into simpler forms that the yeast can consume. This allows the yeast to dry out the beer, hence why they style is called Brut, like a dry champagne. There is no witchcraft or GM processes here, it’s simply an enzyme that naturally occurs; we're just adding it to the brewing process. Amylase is actually present in the saliva of humans and some other mammals to help with digestion. AR: The low carb enzyme is designed to convert the complex sugars into simple ones so the yeast can consume all the sugars. The complex part of using it is the process itself. The wort needs to be kept at a certain temperature for around three hours and the pH needs to be very low. This can be very challenging. Malt wise, all agree that the profile needs to be light and that maize or flaked corn at amounts of up to 25 percent of the malt bill, can be helpful additions. The Southern family celebrates the arrival of a new IPA style Down Under. From a quality control point of view, NEIPAs are notoriously finnicky in terms of packaging and transport; do you have any concerns regarding Brut IPAs? SM: If packed in bottles then there may be some issues with light struck hops due to the simple malt bills, and obviously hop drop off will naturally occur with time. As with all beer, drink fresh! 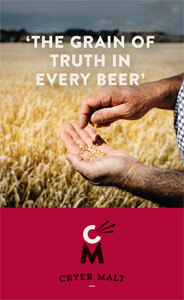 AR: Bruts are pretty much the same as any beer that has a hop focus. Hops are extremely fragile so, if you want to keep them fresh, just like the beers you use them in, they need to be kept cold and out of sunlight. Hops in beer will deteriorate from the second the beer is packaged. The key is to keep the beer cold, out of sunlight and consumed fast after its package date to get the best out of it and [experience it] how the brewer and brewery would like the beer represented. So, drink up! RK: All IPAs are subject to a fast, downhill spiral from oxygen ingress. NEIPAs just let the customer see visually that the beer has oxidised, whereas with a bright filtered beer you’ll need to rely on taste. Finally, beyond the brewing developments of this new style, there is certainly a new world of beer puns that’s been opened up. Indeed, this publication’s editor has already suggested a mid-strength version called Brut 33. However, as an early innovator, Ross may well have garnered two of the best for Bacchus. RK: Our first foray into making Brut Force has certainly given us a lot of ideas. Looking forward, we have our second one in the tanks now, which is made with lychees and dragonfruit, aptly named Brut Lee Enter the Dragon.